This week I finished the Hashtag quilt. I’ll post about it as soon as I can get some outdoor pictures. Yesterday I caught up on the first three steps of Gyleen’s Bricks, Cobblestones, and Pebbles mystery quilt (search that on Facebook and ask to join the group if you’re interested). 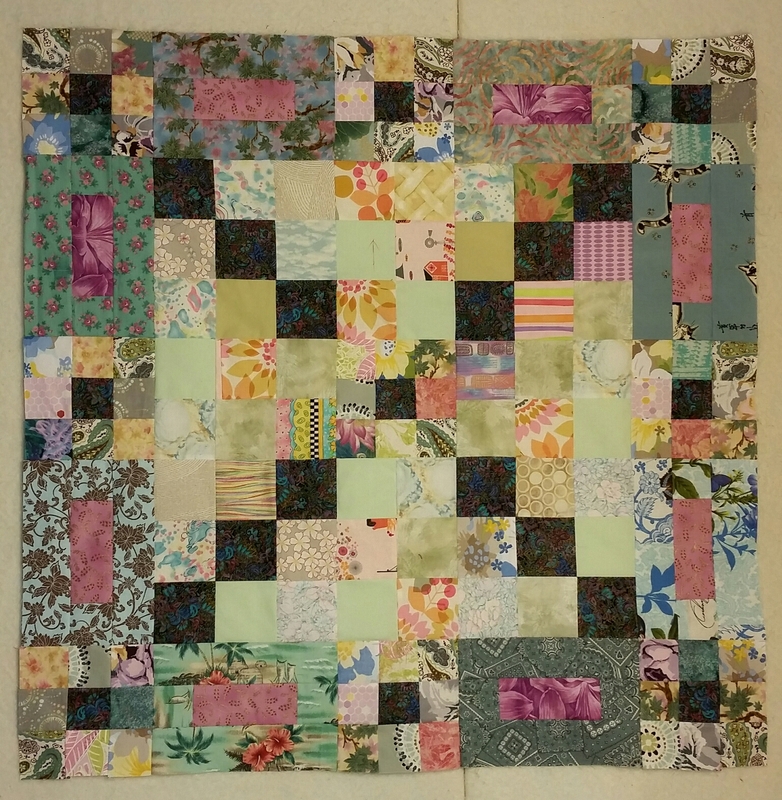 I chose to do it because is uses tons of 3.5″ and 2.5″ squares, and 2.5″ strips, so there was little cutting to do, just lots of scrap pulling. I think my results so far are okay, but I prefer what people are doing with a more controlled pallette. I’m trying to stay scrappy and trust the process. 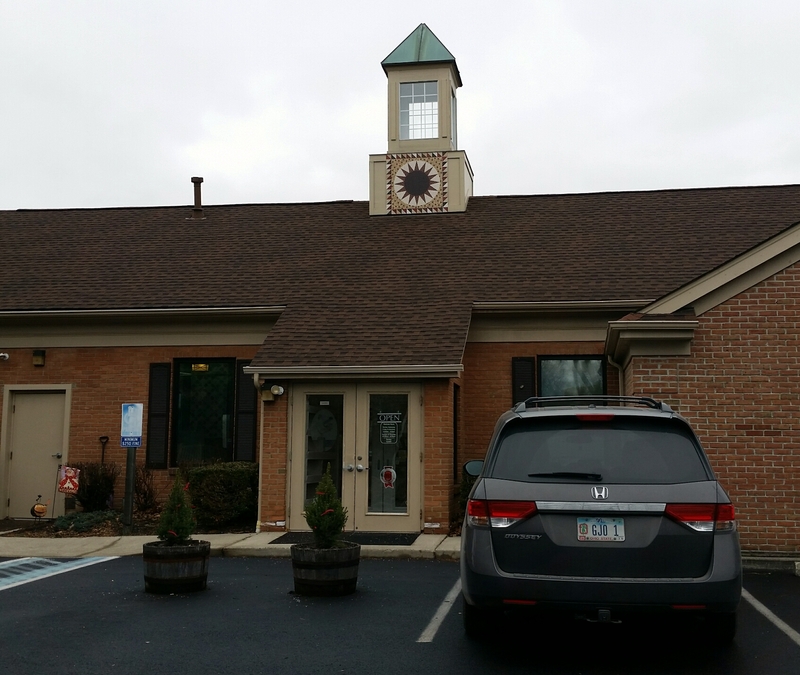 And, in the afternoon I traveled to Dubin, OH, to drop off four Project Linus baby quilts and ten Cases for Smiles pillowcases at Red Rooster Quilting (yes, it was a very gray day). This is on my monthly goals list as part of cleaning my studio. And I didn’t even buy any fabric! Hope you’re making progress this week! 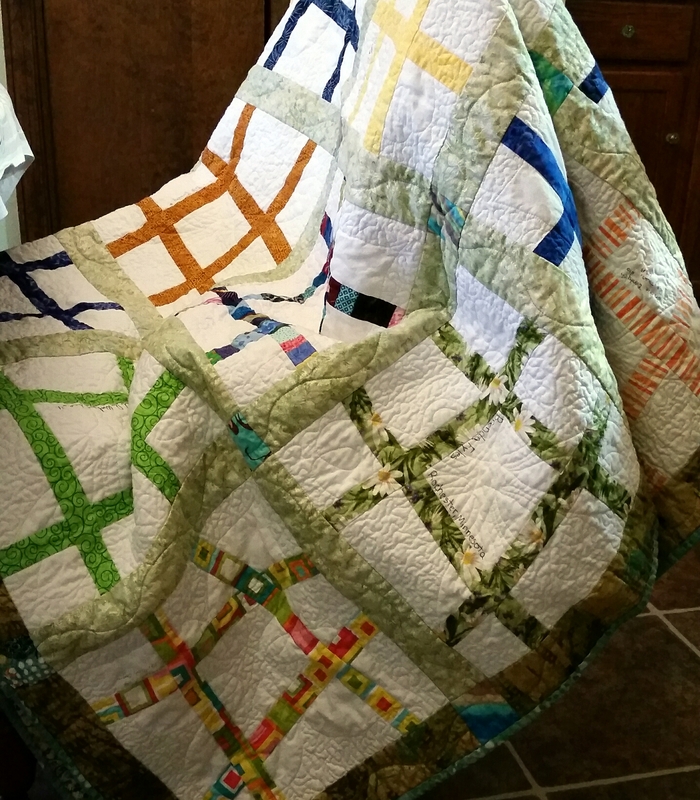 I’m linking up to WIP Wednesday at Freshly Pieced.